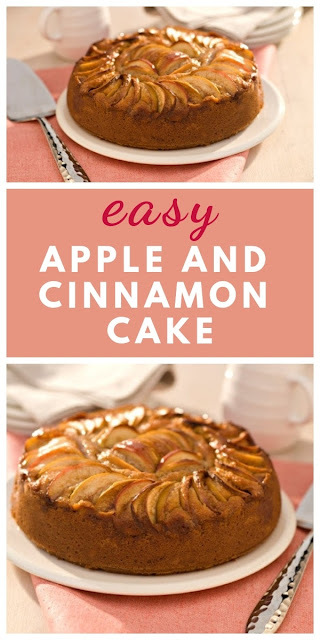 An easy recipe for apple and cinnamon cake with free printable recipe. Bonfire night is such fun isn't it? We're really looking forward to it, although I don't think the weather will be on our side this year. It's not as cold as it usually is for Guy Fawkes night, but we've had a lot of fog this week and it's wet today, so it's not looking good. No matter what the weather, we have to go to our local firework display or Cooper will be so disappointed. Bonfire night or Guy Fawkes is an old and strange British ritual. It's an evening where we get together and remember the night in 1605 when Guy Fawkes used 36 barrels of gunpowder to blow up the Houses of Parliament (where our government meet), to kill King James I and restore a Catholic government to power. He failed, so he hanged! What do we do on Bonfire Night? We build bonfires and burn them with a guy (an effigy of Guy Fawkes) sitting proudly on top. 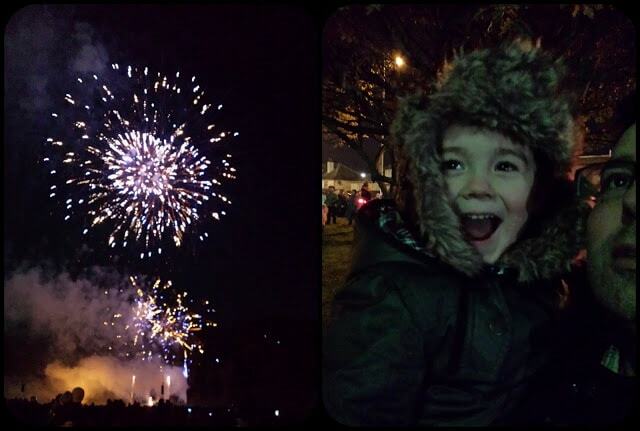 We also have firework displays along side the bonfires and the organised events have music playing and food stalls. As children we learned the rhyme and asked for a "penny for the guy". I don't think many people remember anything other than the first line or two these days. In fact the first line remember, remember the fifth of November is just the phrase we say to recall the date of the festival, so that has become part of our language now. It had a gruesome beginning, but it's great fun, especially for children. Snacks and drinks are an essential part of the evening. We'll be short of time, so we'll just have something quick and light before we head out wrapped in lots of layers. There will be burger vans there, but we will take our own food. We'll all be sporting warm hats, scarves and gloves, but we'll take hot drinks in flasks and something yummy to snack on like my easy chickpea hand pies or some homemade veggie sausage rolls. We will also take sparklers to light and wave in the air as the fireworks explode. This delicious cake is full of season apples. 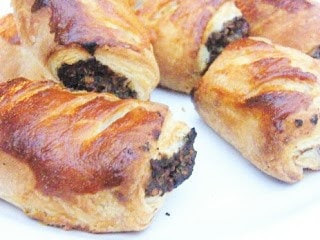 Wrap a few slices up and take them with you to enjoy while you are watching the firework display. 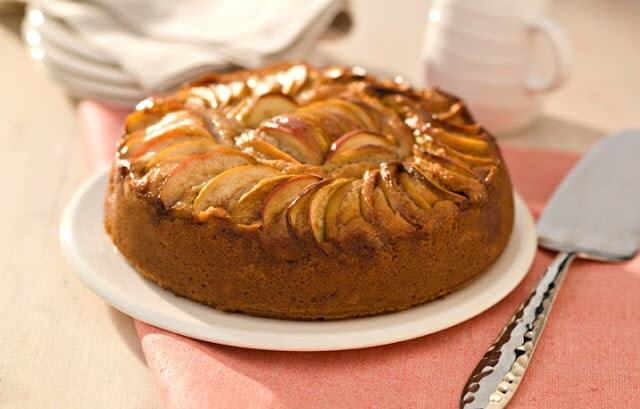 An easy spiced apple cake. Perfect with a cuppa on the cold days of Autumn and Winter. Made with yoghurt and love. 1. Preheat the oven to 170◦C/350◦F/Gas Mark 4. Grease and line an 8 inch round loose bottom or spring-form cake tin2. Begin by peeling and coring one apple, quarter and chop into rough pieces. Take the other two and leaving the skin on cut into quarters and then into thin slices, taking out the core. Set aside for a moment.3. Cream together the butter, sugar and beat until light and fluffy. Beat in the eggs one by one and then add the vanilla extract. 4. Add the flour, baking powder, salt and ground cinnamon, stir well until these are all incorporated. Add the reserved apple pieces and the yogurt and give the mixture a good stir.5. Pour into the prepared tin and smooth the top making sure it is level. Arrange the apple slices on top of the cake in a circular pattern.6. 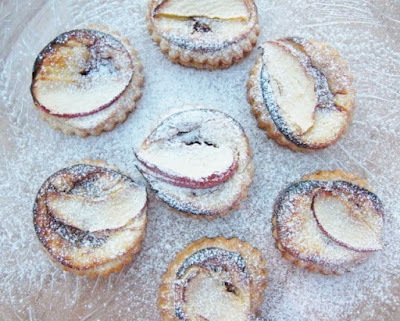 Combine 1tbsp of caster sugar and 1tsp of ground cinnamon and sprinkle this over the top of the apple slices.7. Bake for 50 mins/ 1 hour or until a skewer inserted into the centre of the cake comes out clean.8. Allow to cool in the tin before removing and transferring to a wire rack.9. Enjoy! These dainty pastries flavoured with caramel and topped with a slice of apple are easy to make, but I have to warn you, they are very, very addictive! I agree yogurt's a great addition to cakes.You have a good night too. Thanks Johanna, it-so not looking good though, raining already. I'm looking forward to seeing your cakey Dom. This looks so yummy, I never thought of using a flavoured yogurt in a cake. What a great idea!! I've whipped up a sticky toffee bundt for bonfire night celebrations. Can't wait to dig in!! I've used flavoured yogurt before in a cake, I can't quite remember which one though. Oh Sticky Toffee Bundt sounds amazing! Hmm this looks so good! Especially for this time of the year! I love spiced apple cakes. I made an apple and cinnamon one in the slow cooker recently and although it didn't look as pretty as this it tasted amazing! 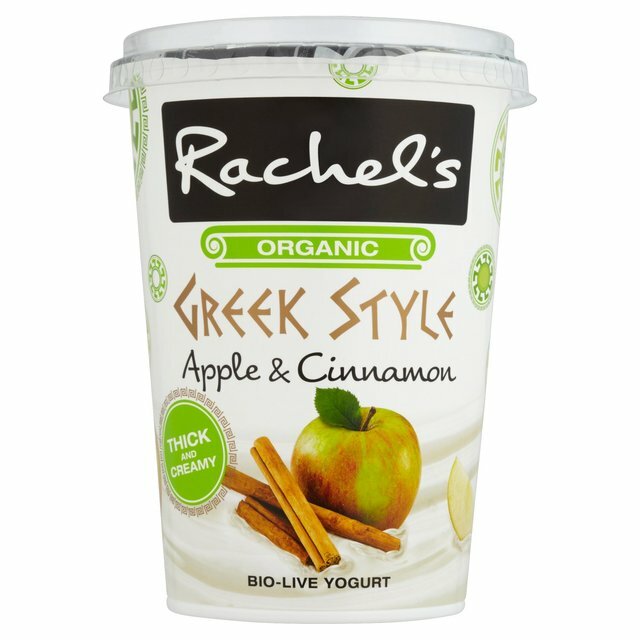 The apple and cinnamon yoghurt sounds great too - I'm sure I wouldn't be able to save it for the cake though! I gave my slow cooker away but now wondering if I should have and yes I agree about the yoghurt. They have a salted caramel one I'd like to try too. Ooh, lovely - I never have the patience the lay the apples properly, so well done to you - looks gorgeous. Have fun! Thanks it's raining at the moment, so not looking promising. Apple and cinnamon: the perfect combo!!! A brilliant combination and looks wonderful. I could never get enough of a cake like this! Apple and cinnamon are a fab combination. Your cake has risen very well. Beautiful. This cake looks perfect for this time of year and I bet Cooper enjoyed the fireworks very much! If autumn was a cake, that's how it'd look like! This looks delicious! apples are one of the only fruits my kid likes too! I'm so glad you tried it and love it Amanda. Thanks so much for letting me know.